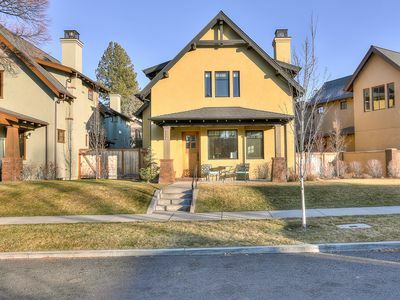 Freshly remodeled ground-floor condo w/ a gas fireplace & a shared pool! If Mt. 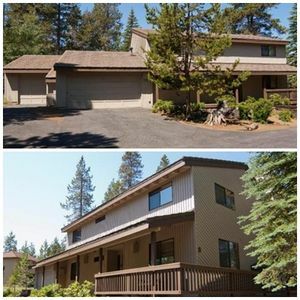 Bachelor is calling your name, this spacious Bend vacation rental is the answer. 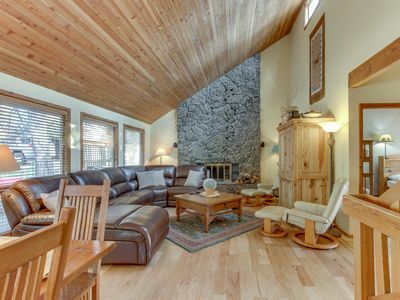 Regardless of what season you visit, when you stay at this ground-floor condo, you'll be conveniently positioned to take advantage of all of Mt. Bachelor's outdoor adventures. 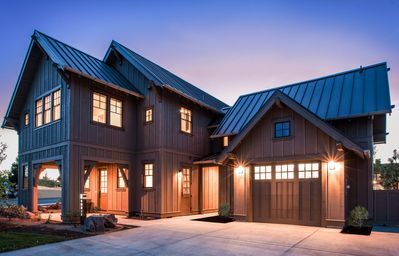 In addition, you'll enjoy home comforts such as a private washer/dryer, a gas fireplace, and more. As part of Mt. 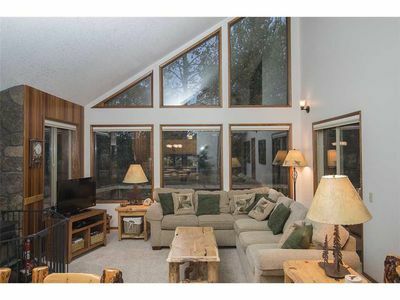 Bachelor Village Resort, this retreat includes access to resort amenities, including a shared outdoor pool and shared tennis courts. 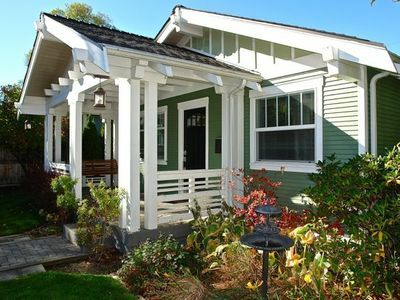 Bend's popular Old Mill District is less than two miles away, and the charming downtown area is three miles away. 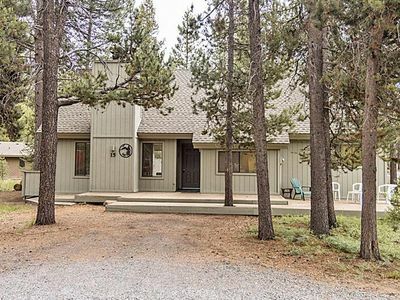 It's 20 miles from this condo to Mt. 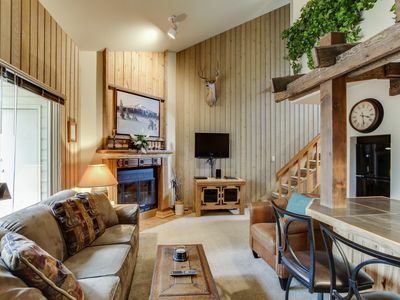 Bachelor itself, so you can sleep in, get brunch, and still be one of the first ones down the mountain. Plus, the nearby Deschutes River is an excellent destination for kayaking, stand-up paddleboarding, and fishing. 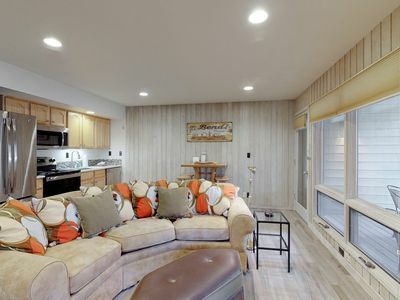 This condo has been nicely updated throughout with fresh paint and new furniture. The sectional sofa in the living area is large enough to accommodate your whole group and faces a flatscreen cable TV, perfect for family movie night. Thanks to the free WiFi, it's easy to share pictures with friends and loved ones, or to plan the next day's adventures. In the kitchen, new stainless steel appliances (including a dishwasher) make cooking a breeze. If the weather's nice, enjoy dining al fresco on the private patio - if not, the gas fireplace will keep things cozy indoors. 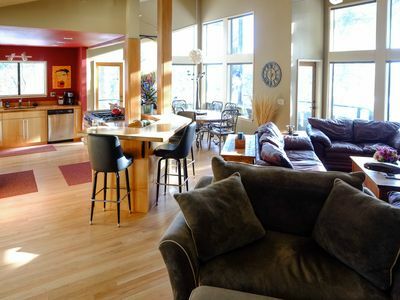 Whether you're here to ski, hike, or kayak, you'll love staying at this Bend vacation rental. Start planning your trip today! 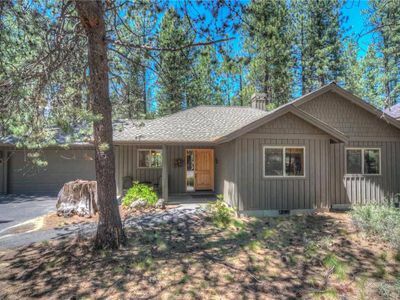 1 Wolf - Warm home, beautifully decorated with A/C and close to the Village! Mt. 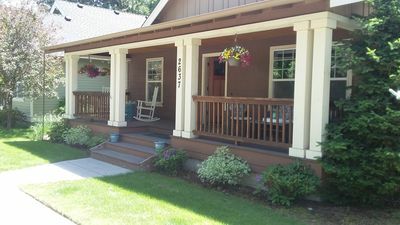 Bachelor Village condo w/ shared hot tub & pool! Enjoy nearby slope access! 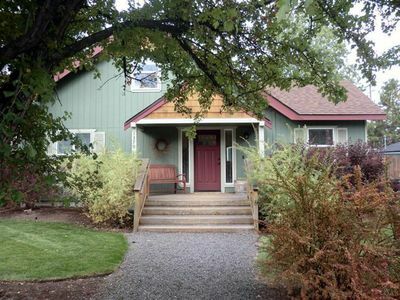 15 Lupine Lane Sleeps up to 12 and is between the SHARC and Fort Rock Park! 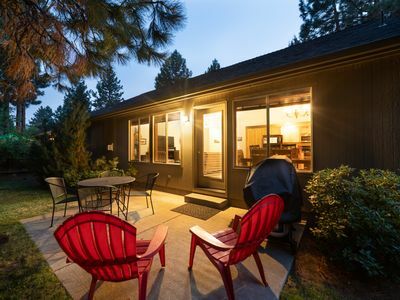 The Executive Lodge up in the West Hills and is 2 miles from downtown Bend. 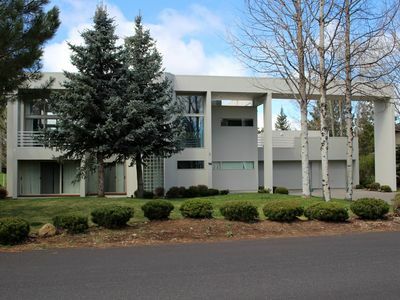 Private home with golf course views. Free SHARC Passes.